Discount is for Indians Passengers. No Discount, when Timer hits Zero. 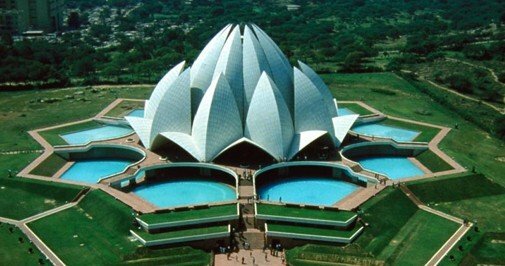 Day 1: Delhi Sightseeing starts at 9:15am for famous 26 spots in Super Air-conditioned Coach (tour itinerary). Tour ends at 6:30pm. Drop at Red Fort or nearby to Hotel in Delhi. Overnight stay at hotel. Day 2: Early Breakfast in Hotel (if applicable). Check out from the hotel by 12 afternoon. All Tours on Seat in Coach basis. All hotel taxes and services charges. Complimentary Breakfast and Bed Tea included in Deluxe, Deluxe Plus and Super Deluxe only. Tour Itinerary may be changed i.e. day 1 to day 2 vice versa. Accommodation on twin sharing basis (2 Adults in 1 room) at New Delhi. Above mention rates are per person basis and minimum passengers need to book for this package is two quantity. All packages are extendable on pro-rata basis as quoted at the time of Reservation only subject to availability. No refund for short stay and un-availed facilities. Check-in and Check-out time as per hotel policy is 12p.m. And if passenger is arriving early to Delhi, kindly let us know at the time of booking, we will do our best to arrange for a complimentary room for fresh-up.